CEO John Cryan is successfully cutting costs but revenue fell even faster in the second quarter, by 10 pct from a year ago. The lender suffered from the same difficult trading conditions that hit peers but its retail unit also disappointed. The boss is running to stand still. Deutsche Bank said on July 27 its revenues fell to 6.6 billion euros in the second quarter, down 10 percent from a year earlier. Analysts polled by Reuters had expected revenues of 7.1 billion euros. The lender said it expected revenues of its operating businesses to be lower in 2017 than last year. It had previously anticipated a broadly flat outcome. Revenues at its corporate and investment banking division fell 16 percent while those at its private and commercial bank unit declined 7 percent. 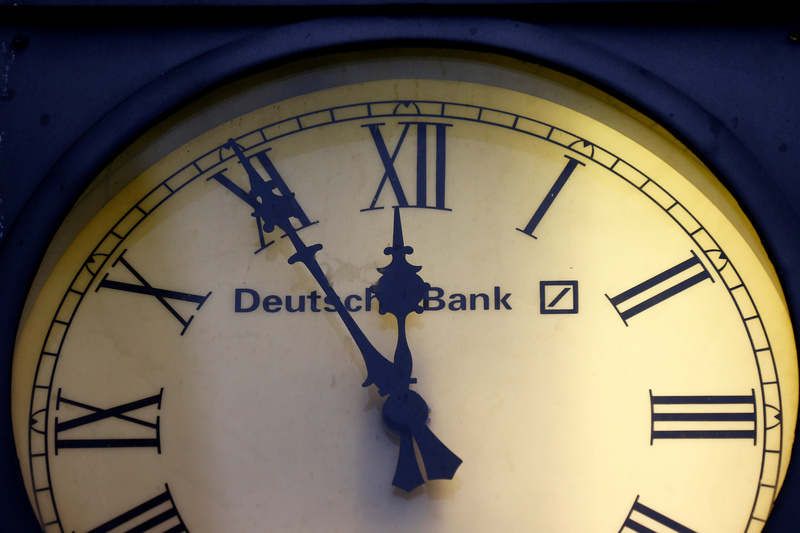 Deutsche Asset Management was the only division to report growth, with revenues up 7 percent from a year ago. Second quarter pre-tax income more than doubled from a year earlier to 822 million euros. That was significantly above analysts’ expectations of 559 million euros. Shares in Deutsche were down 3.1 percent to 16.07 euros by 0929 BST.